From 1st January 2018, OpenAIRE enters a new exciting phase with the start of the OpenAIRE-Advance project. During the Kick Off meeting, taking place from 17 to 19 January in Athens, Greece, 50 partners will gather to work on this timely continuation of OpenAIRE’s mission to support the Open Access/Open Data mandates in Europe and globally. 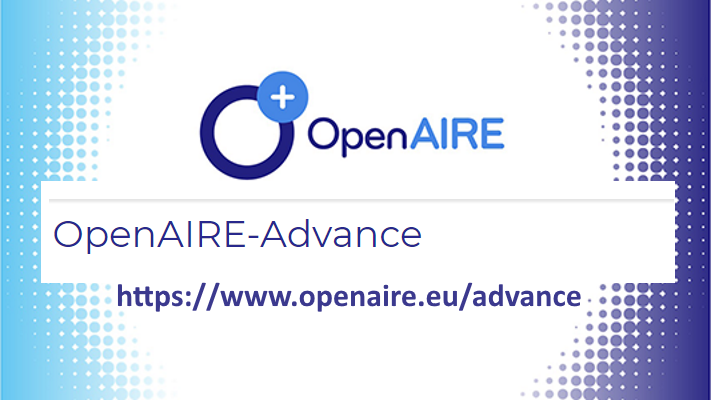 While sustaining the current successful infrastructure, comprised of a human network and robust technical services, OpenAIRE-Advance will work towards making Open Science the default in Europe, reshaping the scholarly communication system towards openness and transparency serving as a trusted pillar of the European Open Science Cloud (EOSC). 1. Consolidate and optimise services: OpenAIRE’s open science service portfolio will be upgraded to meet end user needs. Through a set of dashboards that target all stakeholders involved in the research chain, OpenAIRE will seamlessly connect all research artifacts, effectively creating the European Open Science Observatory. 2. Empower the pan-European Open Science Helpdesk: The 34 National Open Access Desks, OpenAIRE’s backbone, will be empowered to increase their national presence and develop capacities at local level so as to become a pivotal part of open science in national settings. 3. Strengthen research community uptake of open science: Working with three national research infrastructure nodes (Elixir-GR, EPOS-IT, DARIAH-DE) OpenAIRE will build bridges to key communities via an open science-as-a-service approach. 4. Promote emerging changes in the scientific communication landscape: Building on repositories as the foundation of a globally networked and distributed open science infrastructure, OpenAIRE will support the development of the next generation repositories with new functionalities and new technologies. 5. Build a global open science network: Working with partners around the world (Latin America, Japan, US, Canada, Africa) OpenAIRE aims to align policies, practices and services for a truly global and interoperable scholarly commons. 6. Outreach beyond researchers: Reaching out to a network of 10,000 schools, OpenAIRE will lay the foundations for citizen scientists to leverage the benefits of Open Science, and will run an Open Innovation programme to bring OpenAIRE closer to industry. 7. Collaborate with EOSC-Hub towards a concrete implementation of EOSC: Crucially, OpenAIRE-Advance will work with the EOSC-Hub project to create a joined-up, interoperable set of services to seamlessly serve the needs of tomorrow’s researcher in the context of EOSC. Ultimately, the EU will reap the rewards of an endeavor that OpenAIRE-Advance represents, since the latter aims to lead the evolving culture of Open Science with relevant and functional services to conduct research and disseminate research results in a more transparent and efficient way, hence benefitting both the researcher and the society as a whole.